Welcome to my new blog! I am so excited to start sharing all kinds of ideas on this new space. If you are new, my name is Megan Shea, I am a college education student in NY. Although I am not a teacher yet, teaching is a huge passion of mine. I have been working daily in a kindergarten classroom for eight years and love it. My mom is an amazing kindergarten teacher (you can find her here), and I learned so much from watching her teach. I have a shop on Teachers Pay Teachers where I have a ton of products for kindergarten. I used to blog on Little Miss Teacher, but I was ready to move on to this new space. 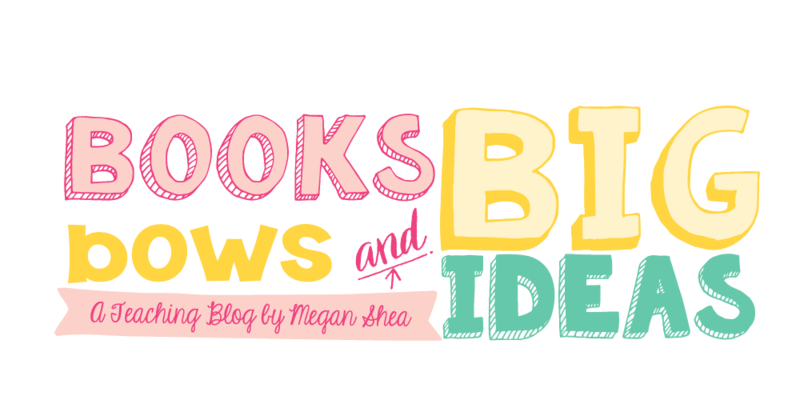 I want to make this new blog more fun and useful for teachers or anyone! The majority of my posts will be related to teaching, but I am also going to have some fun fashion and lifestyle posts as well. I am so excited that it is summer (I can't believe it is almost over)! I have already been to the Teachers Pay Teachers conference in Las Vegas (which was amazing!) and got to collaborate and get tips and ideas from a ton of awesome teachers. I also went on a huge European cruise and it was awesome (more to come on that). Aside from the trips I have been tutoring and working at a camp for incoming kindergarteners and I can't believe it is over already! This was a very cute and funny group of kids, I can't wait to see them again when they come to kindergarten in September! One of the themes for the camp was an "under the sea" theme. 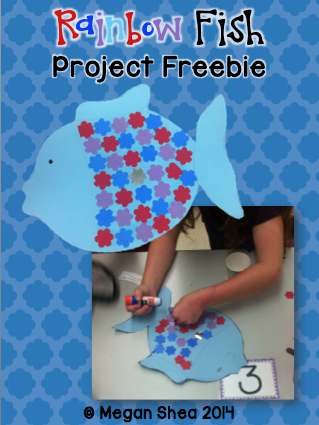 We read The Rainbow Fish and each kid got to make a cute Rainbow Fish project. They came out really great! I wanted to share the project with all of you for free. This is a great project for summer camps or in school whenever you read the book. You are welcome to download this freebie and use it in your classroom, the kids loved it! Click the photo below to access the freebie. Thanks for reading! I will be back soon! Thanks for the freebie! The kids loved this project. I love your new blog! So pretty and wonderful, just like you!! CUTE! I like your header a lot!